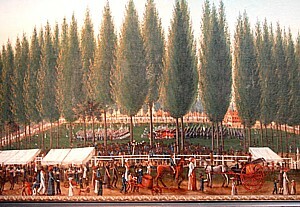 A painting depicting early Salem, in the Essex Peabody Museum. The 4th annual Salem Main Streets Salem Arts Festival will be held June 1 – 3 © 2012 Karen Rubin/news-photos-features.com. The 4th annual Salem Main Streets Salem Arts Festival will be held June 1st – 3rd. The popular and ever- growing event will feature over 80 artists including local bands, painters, photographers, poets, belly dancers, to name a few. The Festival is a family friendly event with free performances, free art making activities and a fantastic range of art on display. “People love the Salem Arts Festival because it makes art accessible. The festival is completely free from the incredible dance and music to the Juried Art Show in Old Town Hall. We include work ranging from renowned professionals to a 3rd grade boy.” says Jennifer Bell, Manager of Salem Main Streets (SMS), a community non-profit organization which started the Festival. “This year for the first time art patrons will have an opportunity to buy art from the Juried Art Show as well as from a Juried Street Fair,” Bell adds. Run by a team of volunteers, including representatives from Salem State University, the Peabody Essex Museum and the Salem Arts Association, the Salem Arts Festival is a free event for residents and visitors. The goal of the festival is to promote all the arts in Salem and to provide the entire North Shore arts community an opportunity to showcase their talents. The Festival is spread out at a variety of venues in downtown Salem, anchored at the Essex Street Walking Mall. A Juried Art Show will be held in Old Town Hall. This year live performances and demonstrations will be held outside, at the Museum Place Mall Fountain (weather permitting). Last year Festival attendance numbers were over 4,000 people and we expect an even larger crowd this year. Rain location for the performances is upstairs Old Town Hall. The festival kicks off with an opening reception in Old Town Hall Friday, June 1 at 5 p.m. Enjoy beautiful art work and be entertained by Brian Rolland and the Paul Madore Chorale. Saturday and Sunday starting at 11 a.m. there will be live music and dance at the East India Fountain on Essex Street and a Juried Art Show for viewing in Old Town Hall. This year’s festival includes acting improve, a reciting of a chapter from the Odyssey, belly dancing and abstract art making and lots of local favorites playing like Machine 475 and the Heather Maloney Band. Festival patrons can also enjoy the City of Salem’s Beautification Committee “Lady Of Salem” project, a summer long celebration of Salem’s rich maritime history featuring colorful, creative and whimsical ship figureheads painted by local artist. This exhibit will debut during the Salem Arts Festival and be on display downtown starting June 1. 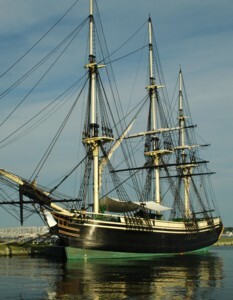 The “Ladies” remain in Port for all to enjoy June-October. The Salem Arts Festival is offered free to all. Visitors interested in attending the Salem Arts Festival can find easy access to the downtown by public transportation or parking at one of the many downtown lots in the City. For more information, visit www.salemartsfestival.com.